Can I just begin by saying I don't even know how to describe this festival. It was hands down one of my favorite trips, ever! Have you ever looked forward to something so long that when you finally experience it you just want to jump up and down? Maybe, just I'm that way?...Well instead of jumping up and down I clapped my hands. I figured clapping was a good compromise since Dave and my parents were with me. 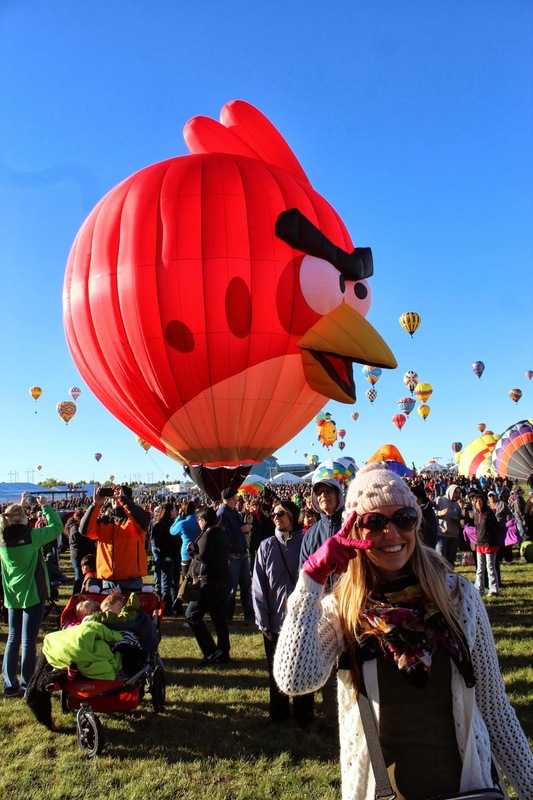 The balloon fiesta occurs every October in Albuquerque. 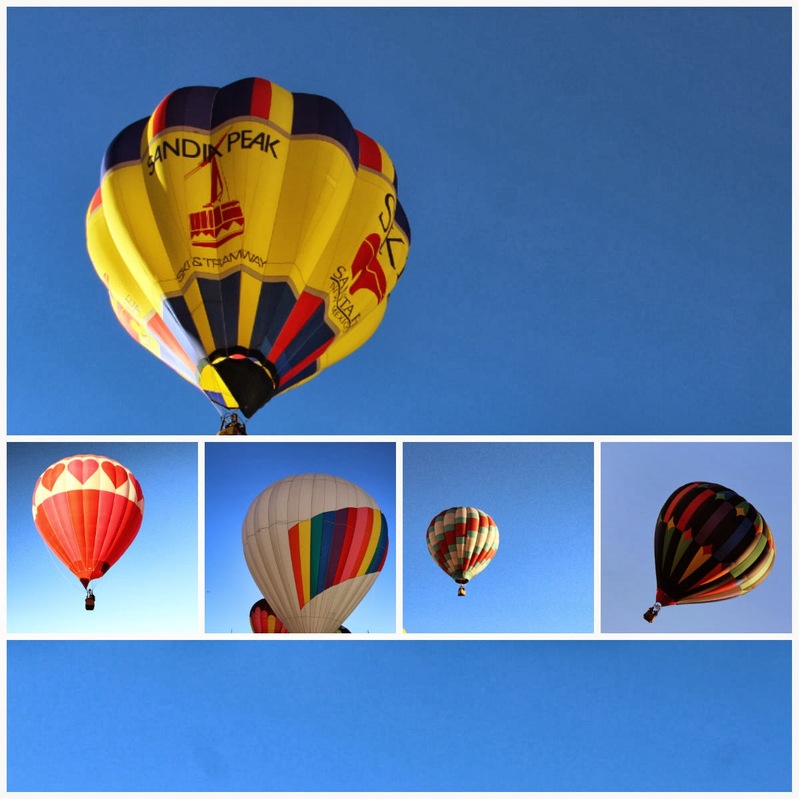 Albuquerque is known as the hot-air balloon capital of the world. The festival lasts a week long and is packed with events so you can get your fill. We picked two events to attend: mass ascension and the balloon glow. Mass ascension happens early! The early morning alarms went off at 5:30am, we were out the door by 6am and still didn't arrive in time at 7am when everything began. However, we got to see plenty. What is great about this festival is that you don't have to sit in bleachers and observe from far away. You are right there on the field watching the crew set up the balloon then launching it. Once they launch every one claps which is really good because I've already been clapping by my lonesome self for quiet some time. You can walk around and see as many balloons as you'd like. Can I get a big shout out to New Mexico for creating such a mind blowing event? 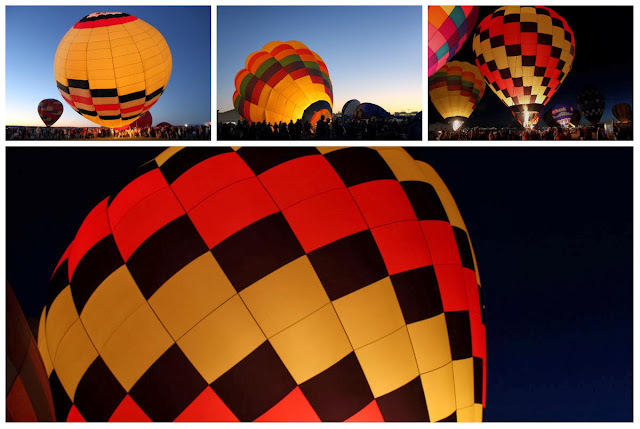 The balloon glow happened right as the sun was setting and continued in the pitch black sky making it all the prettier. Picture over load right? 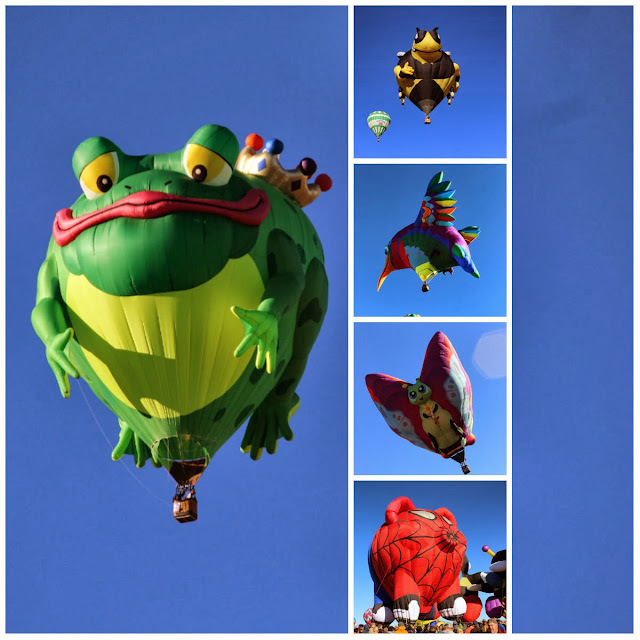 What do you think about hot air balloons? If you have a bucket list you might as well add this one right on! Wow! This looks absolutely amazing! I am going to put this on my travel list right away! I had no idea hot air balloons could be so beautiful! I'm so glad I found your blog through the Friends Around the World link up! What fun and unnique hot air balloons!! Thanks for joining the blog hop! !